Last night, Bill Hartzer spotted that the link operator, i.e. 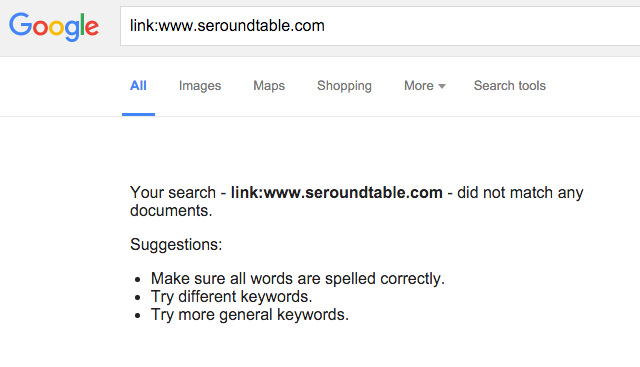 [link:www.seroundtable.com] no longer returns results. Well, he is right, for some domains but for others, it does seem to work. In short, it works for yahoo.com, msn.com, twitter.com, facebook.com, homedepot.com and many others. It does not work for google.com, youtube.com, hotmail.com and many others. 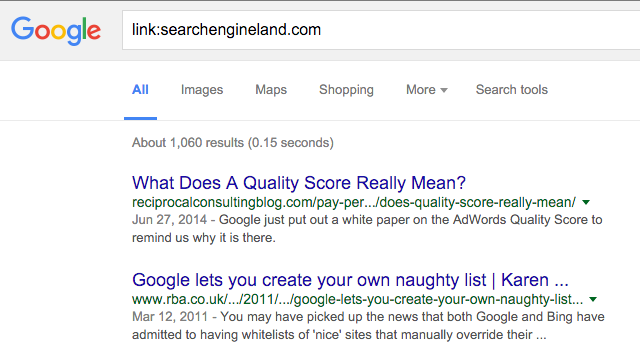 Google did remove the link operator details from their search operators help page a couple weeks ago. I did email press at Google yesterday but have not heard back on the long answer, when I do, I'll share those details at Search Engine Land.